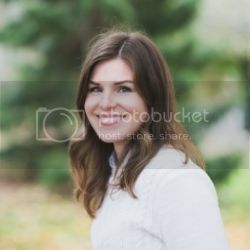 Way back when I started this blog, I was living in New Zealand and my eyes were open to making more eco-friendly decisions. In particular, I become much more aware of what some conventional beauty and cleaning products were putting in their ingredients. On the bright side, I also became aware of how many wonderful green alternatives there are. Over the years, I have tried a lot of different products. I don't claim to be an expert. I don't even claim to only use clean products... but my motto is, it's not about doing everything, it's about doing something. It's been forever, so I thought it would be fun to recap some of my more recent favorites. 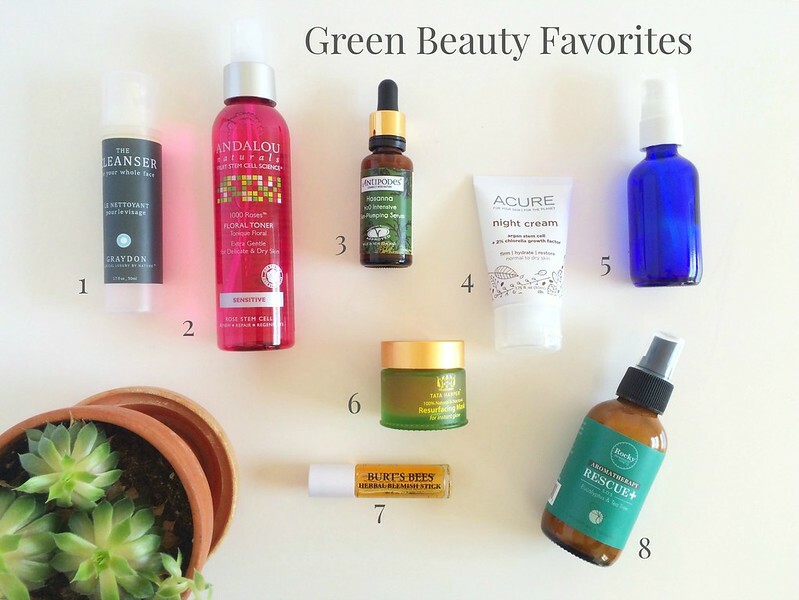 So if you're just dipping your toes into the green beauty scene, of if you're a green beauty maven, I hope this list of some of my current favorite products will be fun to read through. What are your favorites? Please let me know! 1) The Cleanser by Graydon: I have had the hardest time swapping my old standby, Cetaphil, for something less toxic. In fact, I held on to that the longest. But, I finally found something that performs similarly for my sensitive skin. It foams a bit more than Cetaphil, but the consistency is similar. It makes your face feel thoroughly cleansed but never tight. I'm really in love with this product. 2) Andalou Naturals 1000 Roses Toner: I used to be skeptical about toner, but after using it religiously for over a year, I can say that it does indeed make your other product work better. I like this line of products, but this toner is my favorite. I've used other more pricey toners, but keep coming back to this one and you can't beat the price point (you can usually get it on sale at WF). Plus it smells great. 3) Antipodes Serum: This stuff is a miracle worker. It makes your skin feel plump and supple instantly. It is the extra moisture boost I need without feeling sticky or like there is an extra layer on your face. It's a game changer. Side note, this product line originated in New Zealand. It's harder to find in the states, but you can get it at Whole Foods in Canada. 4) Acure Night Cream: This is a light weight night cream that doesn't feel heavy, but gets the job done. With the winter months approaching, I have turned to this for a the needed moisture protection. I alternate between using this and #5 nightly. 5) I like to make my own face oil with a mix of grape seed oil and frankincense and lavender essential oil. I use it every couple of nights and in the dead of winter, I will use it every night. It smells wonderful and it beautifully restores skin over night and doesn't feel heavy. If I'm feeling really ambitious, I'll do a little face massage with it like this. 6) Tata Harper Resurfacing Mask: There is a reason her stuff has a cult following- it is that good. I use this mask about once a week. I may have been known to fall asleep with it on a few times and it truly makes your skin feel brand new. 7) Burt's Bees Blemish Stick: For pesky little spots, this is a life saver. 8) Rescue Aromatherapy by Rocky Mountain Soap Co: I was introduced to this product line while in Banff. I have been using this mist as a great way to banish the stuffy noses that come with this time of year. I like to spritz it before bed and inhale deeply. It doesn't do anything for my skin as much as just make me feel refreshed and relaxed.